The photos of “Great Wall” were taken during my 4000 miles cycling journey along the Great Wall of China, from the wall’s west end to the east end. I followed the wall across the mainland of north China. 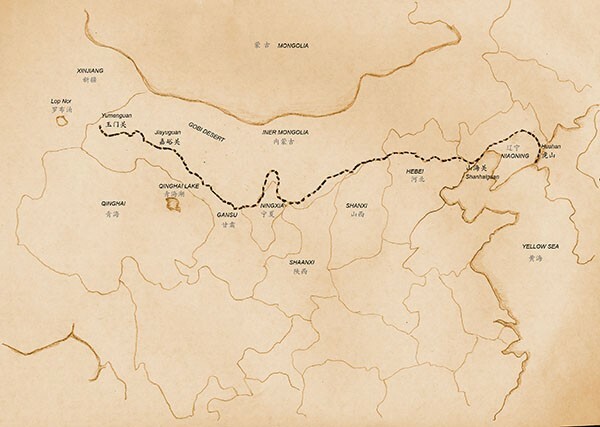 The Great Wall passes through several provinces include Gansu, Ningxia, Shaanxi, Shanxi, Inner Mongolia, Hebei and Liaoning until it plunge into Yellow Sea. For thousands of years the Great Wall sealed China from outside world, dynasty after dynasty, empire after empire, it is the blood line along which millions of human skeletons buried without intermission during thousands years’ struggle. Individuals’s struggle and defence was effortless against a country’s progression, the nation’s fate was ordained, instead of praising Yao and condemning Jie, it would be better to forget them both, and seek Tao of the road.